Is the Casino Royale Three-Piece Suit a Copy of the Goldfinger Suit? I don’t know who started this, but the following quote ended up in Casino Royale‘s trivia section on IMDB: “The three-piece suit worn by James Bond at the end of the film is a navy version of the gray suit worn by Sean Connery in Goldfinger.” Others have repeated this. Like the iconic grey glen check suit made by Anthony Sinclair that Sean Connery wears in Goldfinger, the Brioni navy pinstripe suit that Daniel Craig wears in the final scene of Casino Royale is also a three-piece suit. And that’s where the similarities end. Both suits are excellent suits, but the basic styles of the suit are different, the silhouettes are different and the small details that make the Goldfinger suit so unique are absent from the Casino Royale suit. The Goldfinger suit jacket has two buttons on the front whilst the Casino Royale suit jacket has three buttons. The Goldfinger suit jacket is cut with soft shoulders and a full chest whilst the Casino Royale suit jacket is cut with stronger straight shoulders and a lean chest. The Goldfinger suit jacket has a ticket pocket whilst the Casino Royale suit jacket does not. The Goldfinger suit jacket has double vents while the Casino Royale suit jacket has single vents. The Casino Royale jacket has wider lapels. Both jackets have straight pockets with flaps and four buttons on the cuffs, but those details aren’t all that special since that’s what the average suit has. 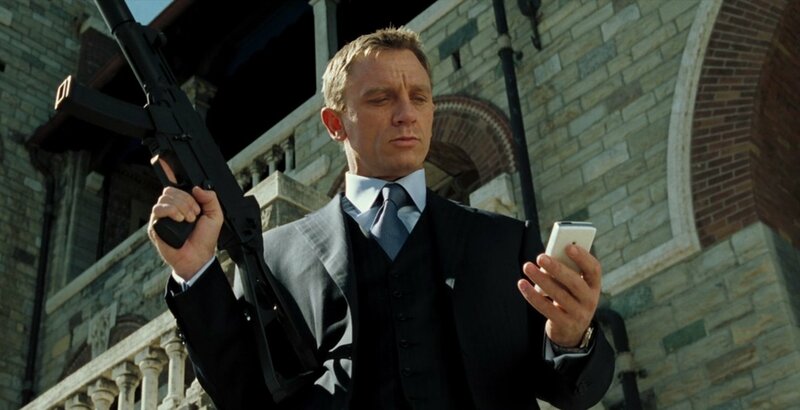 The waistcoat in Goldfinger has six buttons with only five to button, whilst the waistcoat in Casino Royale is cut with all buttons able to fasten. The waistcoat in Goldfinger has four welt pockets whilst the waistcoat in Casino Royale has only two. The trousers in Goldfinger have double forward pleats, plain hems andside adjusters whilst the trousers in Casino Royale have darts and turn-ups and are worn with a belt. The Goldfinger suit’s trouser legs are narrow and tapered whilst the Casino Royale suit’s trouser legs are wide and straight. 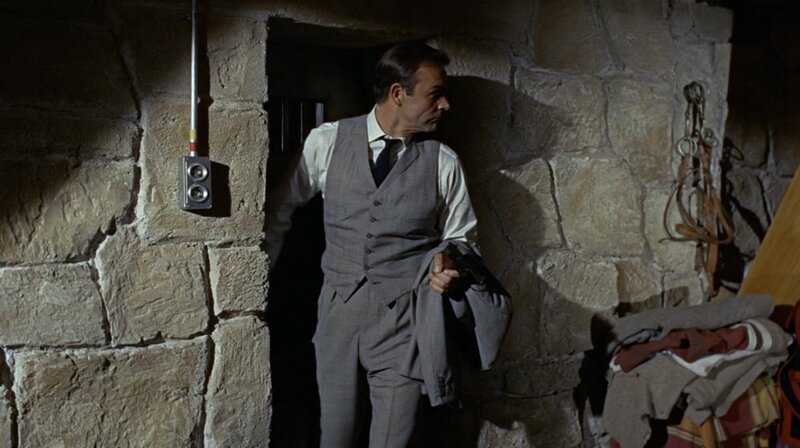 What makes the glen check suit in Goldfinger special? Apart from it being the first three-piece suit of the Bond series, it’s Sean Connery’s only three-piece suit that has lapels on the waistcoat. Pierce Brosnan brought back the lapelled waistcoat with his pinstripe suit in The World Is Not Enough. This key detail, however, is absent from the three-piece suit in Casino Royale. The absence of lapels on the waistcoat is the most significant detail that shows the Casino Royale suit was hardly inspired by the Goldfinger suit. Magnoli Clothiers, who makes clothes inspired by the clothes James Bond wears, also says the Casino Royale suit “was based loosely on Sean Connery’s classic Goldfinger Suit.” Magnoli adds a ticket pocket and side adjusters to his version of the suit to make it resemble Connery’s suit more, but those details are not present on the actual Casino Royale suit. Even when people attempt to truly copy the grey three-piece Goldfinger suit, they get it wrong. An attempt at copying the Goldfinger suit was done in Catch Me if You Can, but the suit in that film was made in the wrong pattern, and the style was either Americanised or modernised with squarer shoulders, wider lapels, shorter vents and medium-rise flat front trousers. At least they got two of the Goldfinger suit’s key details: a ticket pocket and lapels on the waistcoat. James Bond has so far worn 20 three-piece suits in the series, with more coming in Spectre, and the three-piece suit in Casino Royale is no more a copy of the Goldfinger suit than it is of most of the other 18 three-piece suits. Costume designer Lindy Hemming may have wanted to put James Bond in a three-piece suit that could be iconic on the level of the Goldfinger suit, but the significance of the suit doesn’t mean the actual suits have much in common. The Goldfinger suit is iconic because it is not only a very unusual suit, but it also has a significant reveal with James Bond exiting the aeroplane lavatory. 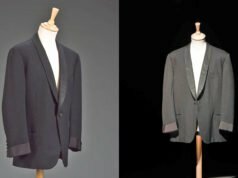 The reveal of the Casino Royale suit comes along with the introduction of a more confident and mature 007, and the suit has significance in the character development. If Daniel Craig’s navy pinstripe three-piece suit could be compared to another suit in the Bond series, it has most in common with George Lazenby’s three-piece navy chalkstripe suit in On Her Majesty’s Secret Service. Though the Italian cut of Craig’s Brioni suit is considerably different from Lazenby’s thoroughly British Dimi Major suit, the details and overall styles are very similar. The most obvious thing is that both suits are navy with stripes. Both suit jackets button three down the front, and neither jacket has a ticket pocket. Both suits’ trousers have a darted front and a straight leg, though Lazenby’s trouser legs are considerably narrower than Craig’s trouser legs. Sean Connery’s navy three-piece suit in Diamonds Are Forever also has a few things in common with the Casino Royale suit, such as the lack of a ticket pocket, a full six-button waistcoat and darted-front trousers, though Connery’s jacket only has two buttons and his trouser legs are tapered. To give a definitive answer to the question posed in the title of this article, no, the Casino Royale three-piece suit is by no means a copy of the Goldfinger suit. If someone was trying to copy any suit from Goldfinger, they did a very poor job. That doesn’t mean there is something wrong with the Casino Royale suit, it is just a very different three-piece suit. “By no means” is the right expression. And I would go even further by saying that IMO it’s kind of insulting to presume that there could be any similarities between both. The GF suit has become one of epitomes of the “Bond style” – a true landmark in the history of film costumes with today iconic status. The CR suit is no such and – IMO – does not merit ever to be one. I think indeed that there are many things which are wrong with it – it starts with the cloth that I do not like, it continues with the cut which is far too loose and doesn’t flatter Craig’s physique (“bodyguard look”) and it ends with all the details (belt worn with a waistcoat etc.). The thing is that the GF suit is a true bespoke one (made by a tailor who today is a legend) and the CR suit was made I don’t know where and I don’t know by whom (probably in one of Brioni’s factories). The difference shows in every nuance. If it was intended to be a copy of GF’s suit then it’s not a good one. I hope you’ll forgive me for this rather strong statement but there are certain things which are by no means acceptable. Who are those guys on IMDB ??!! I have a question concerning cufflinks. Has Bond ever worn double sided cufflinks? I’ve never noticed any to be double-sided. I have double-sided cufflinks that are very similar to what Bond wears with his dinner suit in Dr. No, but Bond’s have a T-bar. No matter the style of cufflinks Bond wears, I will always say that double-sided are better. The only disadvantage is that they are more difficult to put on. Thanks Matt for the comment on double sided cufflinks. They can be made easy to put on by first putting them on before one puts on the shirt. The extra linkage between the cuffs allow for the hand to be slipped easily into the cuff. I addition , double sided cuffs allow the shirt to rest lower on the wrist extending the shirt cuff a bit. Thanks for all the great research. I anticipate each entry. If you can put your shirt on with the cufflinks already in, the cuffs are too large. No contest – the GF suit is a classic. The CR suit is not. Okay, not everyone has a developed eye for detail, but I don’t understand why someone would think these suits are cut in the same way. Shame on them… Indeed interesting and good job by getting this clear for everybody. Love the blog, and agree with you on this topic. Incidentally, do you not rate Magnoli at all then? I can’t afford a Tom Ford, but really love the look of the QoS suits, and would like to have one made. Navy pinstripe seemed a good options. I would very much appreciate your opinion! Some of their ties look like really close copies, but none of the suits come anywhere close to being good replicas. Do you think the only way to go about this is to ask a tailor to make an entire suit? It wouldn’t be cheap to do so, I imagine. I might take a punt on the Magnoli stuff – some people seem to like it very much. I don’t want to waste money, but really like the style of the suits in QoS (and in fact, this last Casino Royale 3-piece) but am still learning the suit-related terms and details… so your blog is extremely helpful, but I have a lot to learn! The biggest problems other than obviously incorrect details is that the silhouettes and proportions are very off. Even when the details are correct, the suits look nothing like Tom Ford suits. The problem with asking a tailor to replicate a suit is that they may be insulted. If they are willing to try to copy a suit, most tailors make in a certain style and may not be able to make another style. That’s partially Magnoli’s problem. What’s your stance on the non-tailored items they sell Matt? I’ve never seen any of the items in person. Some of the tie replicas look very convincing in the photos. However, I don’t believe in counterfeiting tie and cufflink designs. I don’t have that problem with suits and shirts, but with ties and cufflinks the designs are more specific. I’ve bought two of their Tenth Doctor ties and one of their Casino Royale ties, and they’re pretty reasonable. With regard to counterfeiting – they advertise themselves as a cosplay site and are very honest about replicating items that are either out of print or out of budget for cosplayers. I would concur with Matt. I bought a couple of the Brosnan-era ties that Magnoli copied and they do look rather good. I’m not going to claim they’re exact replicas or of the same quality, but I’m also not going to actually wear the grid-tie from TWINE. I just wanted to collect it as a Bond fan, and the T&A model can be hard to come by nor is it worth it as purely a conversation piece. I’ve been reading you for years, and we know some of the same people professionally. And full disclosure – I’ve bought some jackets from Magnoli and loved them. But this is really unnecessary. Magnoli is not a fly-by-night taker-advantager. He’s a dedicated member of these communities. He makes a good product at a fair price. To deride him for not being Sinclair or Ford quality is unfair. I’ve never spoken to Magnoli, but I’m sure he’d agree that he’s a budget alternative, with all the attendant variations that modifier implies. And I think there’s a way to acknowledge these variations without what feels like a pejorative romp. I still love your site and still think it’s a great example of the capital-I Internet. I have not derided Magnoli for not being Sinclair or Ford quality. I cannot comment on quality and have not commented on quality since I have not seen his products first-hand. I just feel I need to be honest in pointing out that I believe the suit replicas miss out on the essence of the originals in their looks and details. I changed the wording in my article to not sound so critical of Magnoli. I think that people’s appreciation for Magnoli may make them read more into Matt’s comments than he says. I have ties from Magnoli and the quality is fantastic, as is his customer service. In addition to the high regard for those, I also appreciate his efforts for the fan community. 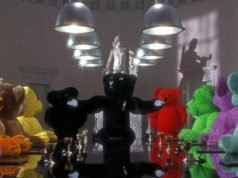 However, that doesn’t change the fact that his Bond suits don’t look like the suits from the films. The fact that the shapes are wrong does not make him a bad person, the fact that key details are different doesn’t mean that the quality is bad. To think that there is something pejorative in pointing that out seems a little defensive. When Banana Republic came out with their “Mad Men” collection people who pointed out that the silhouettes were nothing like those from the 1960s weren’t deriding BR, they were just stating a easily verifiable fact. If I wanted to get a suit that looks like a “Bond suit” I’d like my initial enthusiasm at the idea to be tempered by expert advice. One only has to look at the results of people who pulled the trigger too soon on replica suits and jackets” (or “close enough” styles) posting photos on other sites to see that an objective opinion will save you both time and money. Magnoli seems more in the costumes field that in suits field. I like some things,as the “Chinatown” white double breasted,or the “Gatsby suits”; less the Bondesque stuff. The Casino Royale suit doesn’t feature any of the unique aspects of the Thomas Crown suit that would make it an homage. The Casino Royale suit is just a standard Brioni business suit. Which 3-piece do you like better? I personally like the Brioni 3 piece better because it provides a stronger look and feel. Although the Brioni suits looked as if they were publicizing Craig’s not-so built up physique, and they overall don’t look that good on Daniel Craig, the stronger cut in my opinion is always the one I would wear. Also because I like pinstripes a lot better than checks. I prefer the cut of Connery’s suit. You can’t compare stripes versus checks since they are very different suits for different purposes. Connery’s suit is for leisure whilst Craig’s suit is for business. I would have preferred to have seen Craig in a checked suit based on the location. I have a question, and i hope i chose the right article to put it across. I have read around that waistcoats with lapels are more ‘dandy’. Now a ‘dandy’ is generally perceived as a man who is too particular and finicky in his dressing, that too one who unduly strives to be fashionable. Thereby, if one wanted a more sober or conservative look, a waistcoat without lapels would be the right choice. Now, is it not the other way round? I always thought that waistcoats with lapels were more traditional & conservative, rather than being considered ‘dandy’. Besides, if waistcoats with lapels are indeed ‘dandy’, don’t you think a man like Bond would avoid wearing them, so as to avoid being labelled a ‘dandy’? The first is right. Lapels are more dandy. Sometimes Bond is a bit of a dandy, but he does it in more subtle ways rather than with bold patterns. Not speaking of the Brioni suit per se, but when I see that shot of Craig in the finale of CR, the first thing I think of is Get Carter.